The one thing I do as soon as I wake in the morning is simply put one hand on my heart and one hand (heart chakra on my stomach (solar plexus chakra). I gently observe my feelings and thoughts, letting them wash over me in that moment. With your hands on your heart and on your stomach, close your eyes and move your focus from your head to your feet, slowly scanning it and exploring how each area feels to you. What emotions are you feeling in this moment. What do you need to release with a sigh that you are holding onto that is giving you anxiety, pain. And if you are feeling discomfort; where is it and how does it feel? Sink into connecting with yourself, however you are in this space and time. In these early fleeting states of sleep, waking and consciousness, life is not immediately hectic. our mind chatter is still in a state of slumber, so it is easier for us to sink into a reflective state and connect with ourselves. And ask yourself - What do you need to do for yourself today? 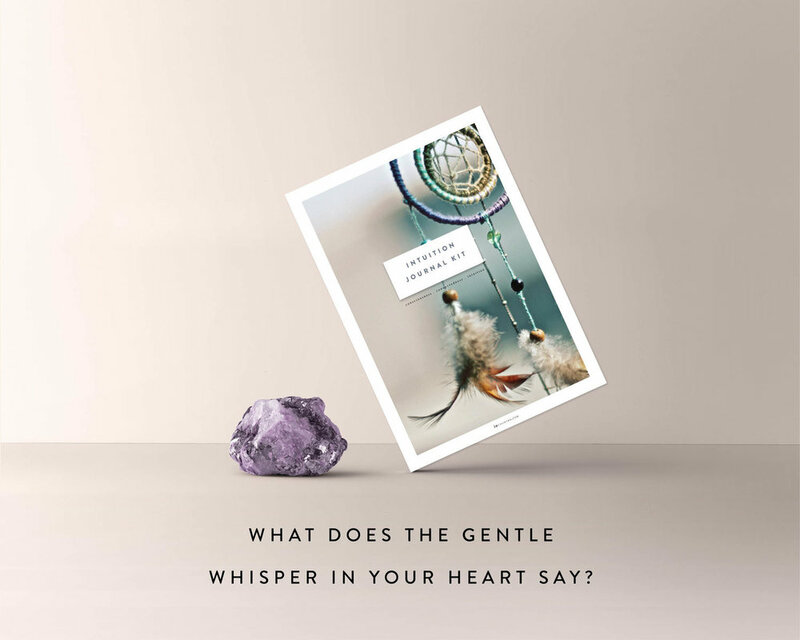 This could be anything; from writing, decluttering, nourishing yourself with a homemade meal, having a good conversation with a friend, doing some gentle yoga stretches, connecting with nature - find whatever it is that will serve you in the best way possible. That is the beauty of this ritual, its so intuitive and fluid that you customise it each morning for you. When you ask yourself what you truly need, observe where this voice is coming from. When we are connected to ourselves, the quietest most loving voice within us, will tell us to do the things that will bring out the best in us. I think this is important to note, because we can easily take sides with our ego, telling ourselves that we "need" to sleep in, when rolling out the yoga mat may actually be just the thing our body is craving. By using this simple ritual, each morning, it helps me visualise how I want my day to unfold. I set my intention so when I do actually rise up and out of my bed, I have clarity around what I choose to say no to versus the things I hold space for. Once you know how you want your day to unfold, make it happen! I have created a little tool to help you. You can simply fill it out each morning, after your visualisation so that you focus on taking action on three things that you want to do for yourself. Sign up for it at the bottom of the page, or click here to read more about it! When you wake up tomorrow, check in with yourself - start your morning with mindfulness and see how it impacts and flows onto the rest of your day. What is one ritual you do each morning that helps you ease into the rest of your day?